Are you ready to get Instaxed? 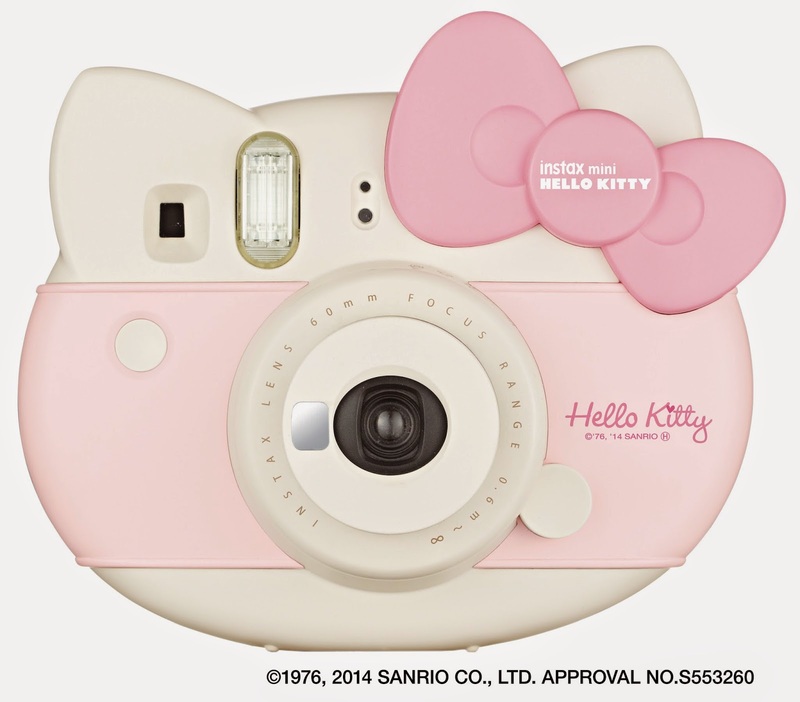 Sanrio's ever-expanding Hello Kitty product line-up gets a new addition with the new Fujifilm Instax cameras. 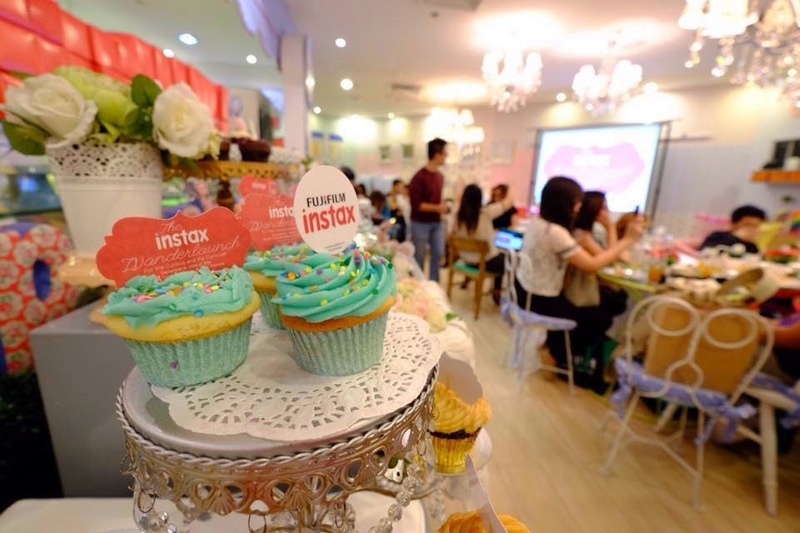 Fujifilm recently launched its new instant cameras at the Instax Wanderlaunch Event held at Vanilla Cupcake Bakery and Café in Trinoma last Saturday. To end this year and celebrate the holiday season, Fujifilm Philippines Inc.unveiled not only new camera prices but also new Instax cameras; the instax Mini Hello Kitty, instax wide 300 and more color variations of the much loved instax mini 8, and mini 90 Neo Classic. The were also exciting activities like Instax Hunt Game, Photobooth and Raffle draw. 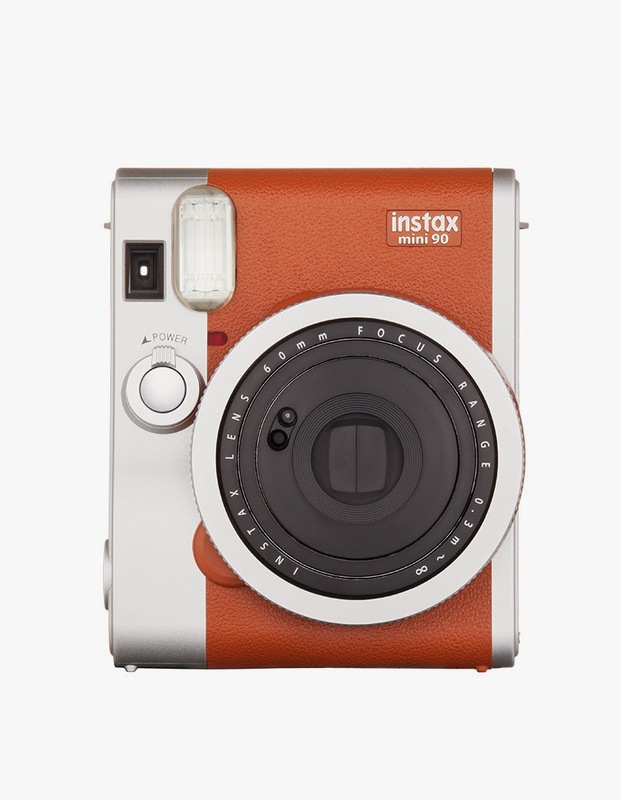 Instax camera introduces a great “instant fun” element, so often lost in photography, by combining retro style with cutting-edge technology that deliver fun card-sized photos. Tooooo cute for words! 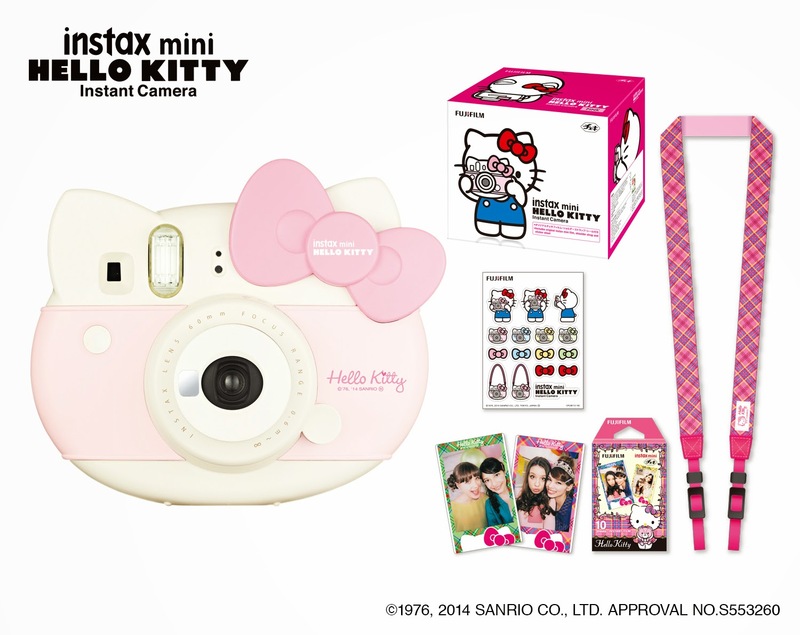 To all Kitty-chan fans out there, you gotta have this new Instax Mini Hello Kitty! Celebrating the 40th anniversary of our favorite Japanese iconic fictional character, Fujifilm Philippines Inc. has launched the new “Instax Mini Hello Kitty”. The camera features a 60mm move in/out type lens and comes with a 0.37x real image viewfinder. With a 0.6 - ∞ focus range, the Instax mini Hello Kitty camera has 1/60 sec shutter speed and constant firing (auto light adjust) flash which has a range of 0.6m –2.7 m. It also has a mirror that is perfect for self portraits. It is so cute, compact and very user-friendly. The figure of Instax resembles the face of Hello Kitty and it makes a good Christmas present for any girls or snap-happy HK fans. 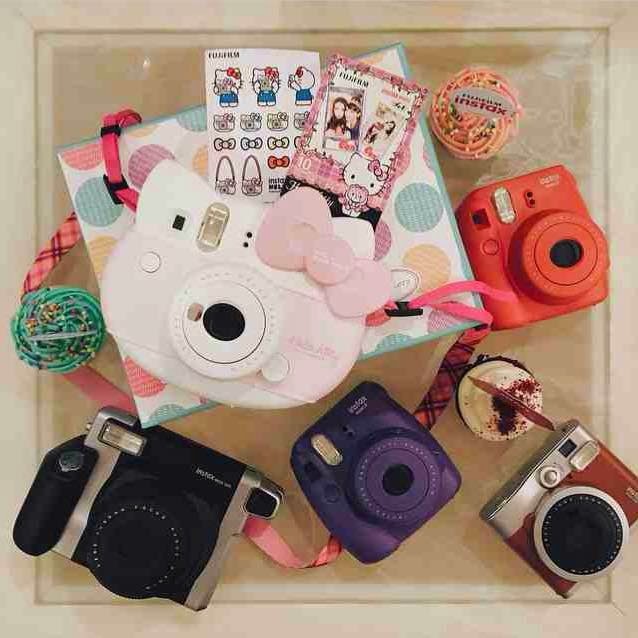 Also, you're in for a treat this christmas with the instax 210 hello kitty package! It will be bundled in a package with enough instant film for 10 photos. Only 200 will be sold. So don't miss out! The large size film used for instax WIDE is even better for capturing great moments with your family and friends. Check out the new instax Wide 300. I have the Instax Wide 210 but this, my friend, is way better! Grape and Raspberry. SRP: Php3,699 These babies are available at Fujifilm Instax authorized dealers! 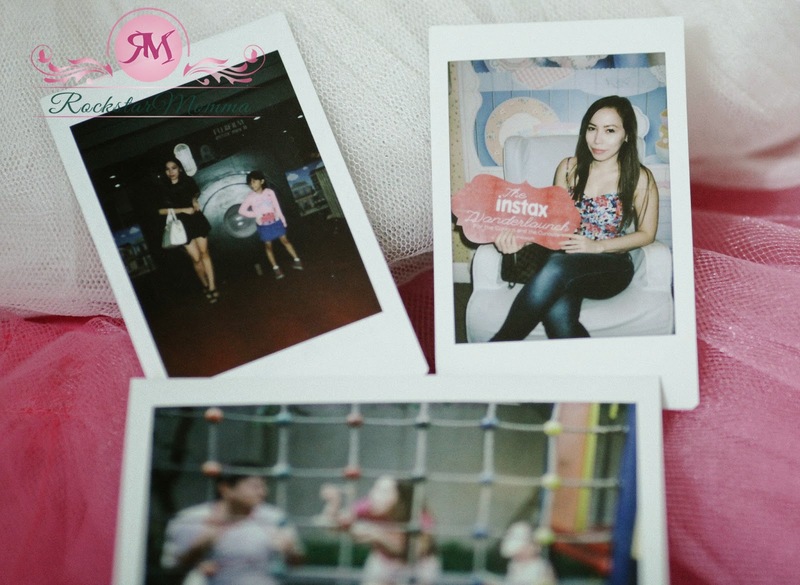 I am so happy with the gift pack from Instax Philippines! 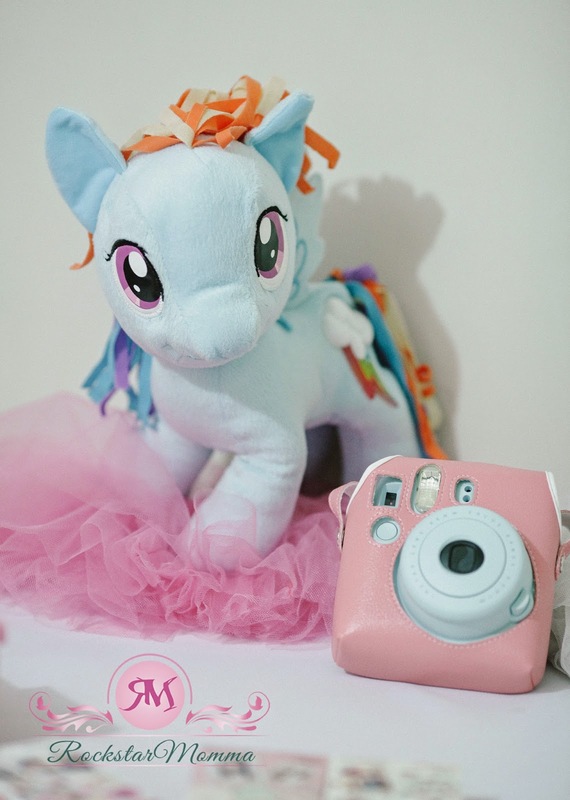 My blue Rainbow Dash-inspired Instax mini is now 20% cooler because it has a new leather case and a new addition to my instax film collection! It includes films, a washi tape, a leather cover for the camera, and a small notebook! :) Can't wait to do DIYs and decorate with these super cute instax films; Mickey Mouse, Hello Kitty, Little Twin Stars, Dalmatian, and Alice in Wonderland! The instax mini lineup of instant film cameras enables consumers to write messages on high quality, credit card-sized photos immediately. Photo enthusiasts around the world can easily enjoy the unique feature of having an analog image that can be taken anywhere and shared with family and friends. Fujifilm is dedicated to enhancing the enjoyment of photography worldwide, and wants all users to experience the joy of shooting, preserving, displaying and sending images through a renewed “Photo Renaissance” that delivers the message of enrich your life with Photography. Rainbow Dash agrees. 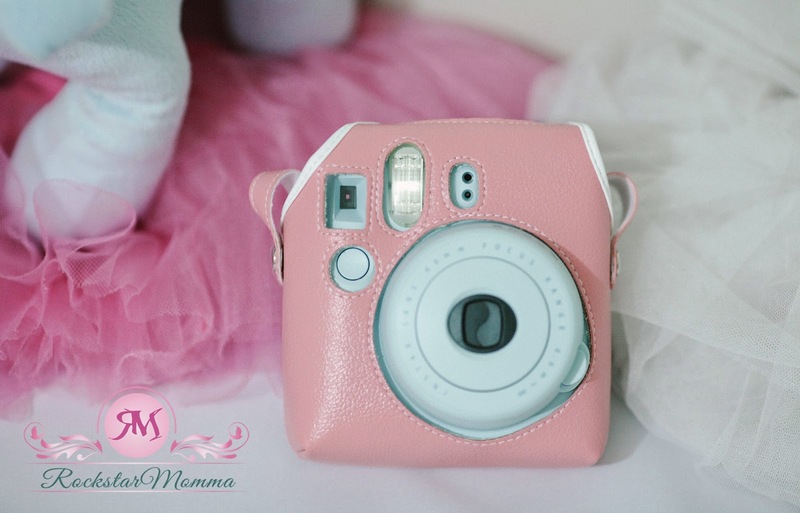 What i like about the new Instax camera is it is easy to carry,you can personalize its design and you can have a lasting memory in an instant! I want to own one because its my daughter christmas wish! I want intax camera because You can choose whatever designs you wanted, And since its polariod the picture was developed in instant and then put it in a frame immediately or any DIY frame. I wanted to have the Hello Kitty Instax Camera. It is so cute. My toddler loves Hello Kitty and surely she will always stike a pose whenever I use this camera to capture our precious moments. So handy too, I can bring this anytime, anywhere. i don't have an instax mini yet and it's fun to own one. the hello kitty cam is so cute and i'll share it with my niece while the instax wide 300 looks so classy! The Instax already have its tripod and colors are great to choose from. I want one for me bcoz instant is great! The Hello kitty i'm so loving it so much, that is my collection. I'm hoping to win this one i love it kikay rocks talaga! Never Experience to use this camera but i love the design im a fan of Hello Kitty thats why i love to win this also i love pink. I love the Instax camera because I can instantly have a hard copy/print of the pictures I take. I want one because instax wide 300 looks so classy! I badly want to have this super cute Hello Kitty Instax :)) Perfect for me who are a hello kitty lover and loves doing some DIY/ Scarpbooking. Hoping to have this soonest. One thing why I love instax camera is because it's so classy and easy to use, also for a swiftie like me who are really dreaming to have one of those gorgy instant camera because polaroids thingy is one of the themed of TS 1989 Album. The new Instax camera comes in handy when you want pictures available onsite anytime, anywhere. It's perfect to capture family moments and readily give it out as tokens. i love that you photos are printed instantly! i am so excited! 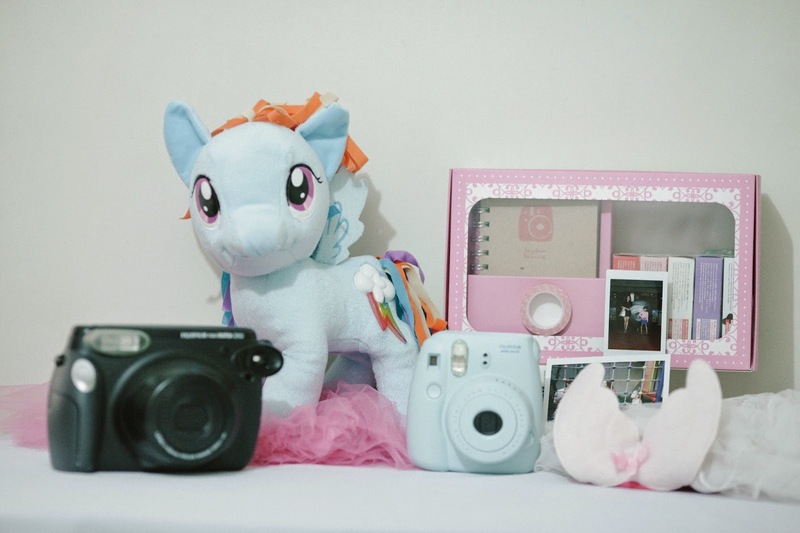 I really hope to win the instax camera cos its so cute, compact and very user-friendly. My daughter and o loves Hello Kitty and I hope to have my own Hello Kitty instax camera! What i like most about this new instax camera is it's cute Hello Kitty which is really my favorite. Wish I could have one so I can add it on my collection. I love to have the Hello Kitty instax camera because I am a hello kitty fan :) Instax is very cute, handy, and can print photos instantly that is why I love it!!! wow! instax Camera is one of the things i wish to have,. it's perfect for barkada trip cause it can print photos anytime and anywhere. oh please!! i really love instax camera especially hello kitty,. im a fan,. 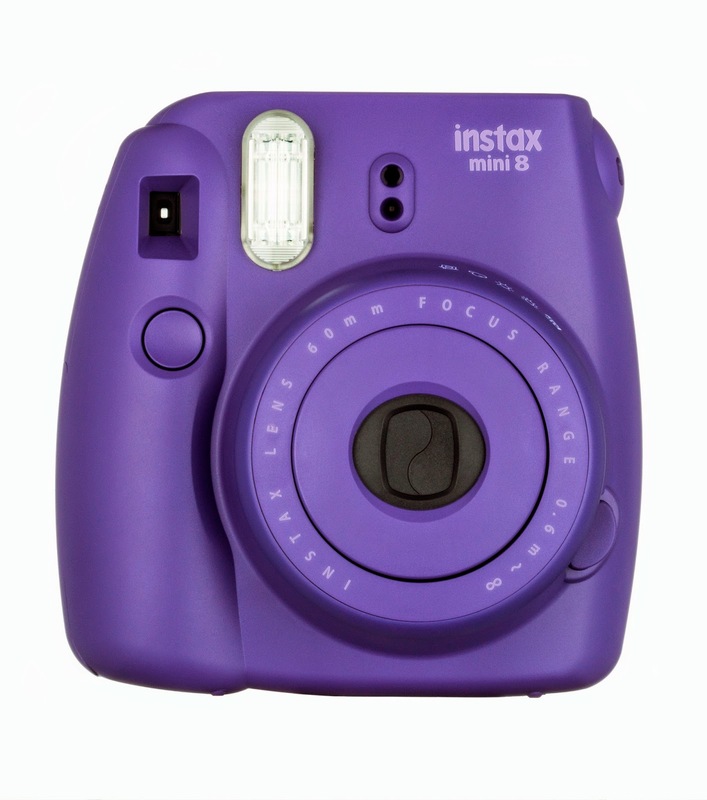 i wanted to have an instax camera because i love giving scrapbook to my friends,. the picture was developed in instant and then put it in a frame immediately or any DIY frame. I am into photography and I love Hello Kitty! This camera is the cutest thing ever! I love Hello Kitty! The design is so cute! Every girl loves hello kitty!!! so to put two of your favorite things together makes it more fun to have. I love taking pictures so to have something that cute to take pictures with and have a printed copy in a snap is so awesome.. aaahhh Super want!!! Super want this for my daughter. hello kitty!!! i used to collect all things hello Kitty. I love stationaries or anything that I can stick to my scrapbook because i use to make scrapbooks and add cut out pics when everything digital doesn't exist yet... This post took me back to my childhood and made me look for my old scrapbooks and reminisce highschool and elementary days. I want One to rekindle my old favorite hobby... doing scrapbooks... I love stickers. doing paper maches, adding glitters and writing with colored pens. Adding photos would be the best thing ever! I love the neat look of polaroids. Scrapbooking calms me down and it also makes me concentrate when I am stressed and have a lot of things on my mind. So handy and so much fun to be with! Because I'm a fan of fujifilm products ever since and it is so cute and my girlfriend will surely love it. What I like most about the new Instax camera is the quality of pictures it takes and I really want to have this because its a good companion to cherish all those wonderful moments. i love instax cameras coz i can instantly print my pictures plus the fact that it's hello kitty design.. omg i'm drooling! I don't really like taking pictures of myself (selfies), but I prefer taking pictures of those precious moments of get togethers (which rarely happen because everyone's busy now with their lives). Whenever there are family gatherings, or those bonding moments with my circle of friends, we would usually find ourselves laughing real hard, and enjoying the moment. Although everyone has cameras, it would certainly be great to have the pictures printed instantly so everyone could have a copy once we all finally part ways and come back to our busy world of work, studies, and others. Hello kitty is so cute And a famous character..if i win this its my first time to have it.. 😊😊 i want to win so me and my family have our own instax mini..thank you.. I liked the purple color and I liked the quality of pictures it prints out.It's fun to use. What I like most about the new Instax camera are the design and color because it is so cute and unique. I want to own one because I have not tried any of this. I have been joining contests and giveaways since last year but I am not so lucky to win one though. We've had a polaroid camera when I was a kid. It was big but it was such a novelty to instantly get your photo after taking a picture. I really miss that and I would love to be able to share that with my kid. 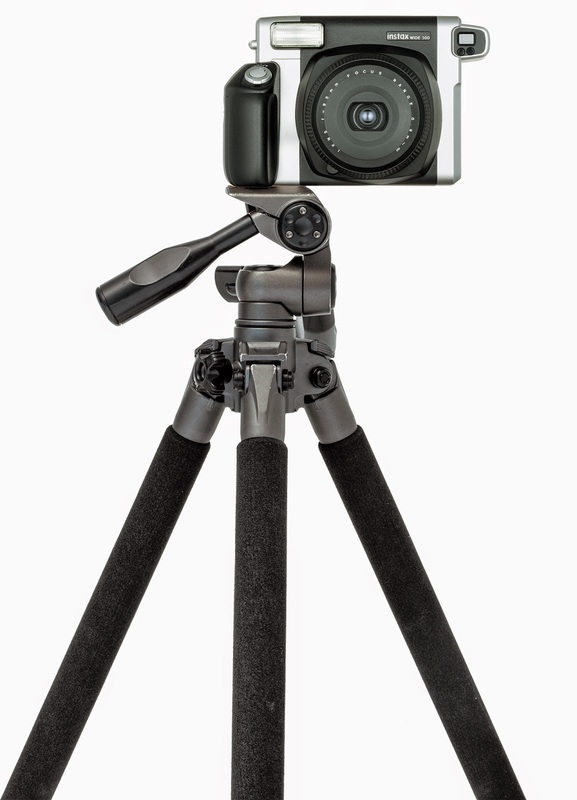 What I like most about the new line, aside from the yummy colors are its flash feature and the tripod socket (who wouldn't want to be in the picture, right?) . I think being able to enhance the photo is a big plus in my book. What i like about the new Instax cam is its Hello Kitty design & color which is my fave character. 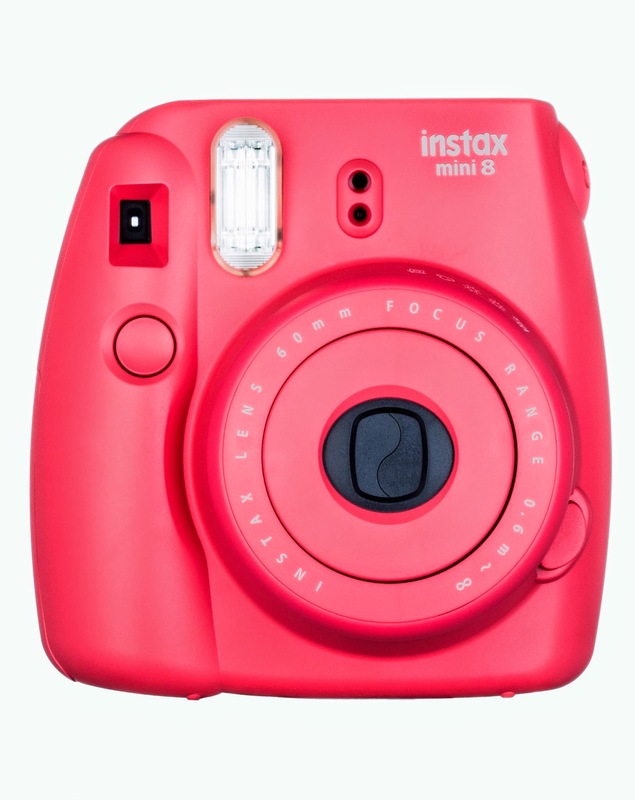 I want to own one because i never had any of the Instax Camera, i want to own one because it is more inspiring to take a photos when you see one of your favorite thing in the world. I like the new color raspberry and I want to own one because I love taking pictures of my baby. Gusto ko manalo para sa amin ng anak ko, grabe sa picture ko lng nakikita to even personal ndi pa ko nakakakita at nkakagamit, hehe kaya sana manalo ko para happy happy. pag nagkclick po ako ng Nuffnang Ad dto sa fujifilm blog wala pong lumalabas kundi "Fatal error: Call to undefined method Ad_Peer::getUniquesByUrlidAid() in /home/nuffnang/ads/application/libraries/click_tracker.php on line 99"
I love Instax Minis' small Polaroids - they're the perfect size for taping all over bedroom walls or pinning up in my locker at school with magnets! Plus the colors they come in are absolutely adorable. I've always loved pastel colors but I also like the new brighter colors. I have always wanted an Instax Mini! What I like about this new Instax camera is that it is super cute ^O^ I'm a big fan of hello kitty! ;) plus it is super handy, I can carry it anywhere. I love to win that because it is one of the things I ever dreamed to have. I like to experience to use a Instax Camera. I hope I win! First of all, I really love Hello Kitty. Since when I was young, Hello Kitty is my favorite and I really, really love collecting Hello Kitty stuffs (local only, because I can't afford to buy originals! LOL :D ) and until now that I have to kids. Second, I admit that I used to joy giveaways/raffles and I already won one of your giveaways, but you know I will never miss this opportunity to have my own instax mini from you. So I guess, this is the only way I can have my own Hello Kitty instax. I really want to give your other readers a chance to experience to win in your giveaways, but this time, i really really and want to win this one! Hi. Why is it that everytime I come back this giveaway is extended? I am not complaining because I also want to win this, but I have been doing thr rafflecopter procedures for almost 2 months already. I hope you announce a certain deadline on one of your social media accounts so we won't be expecting and then find ourselves wondering when it will end. Thank you. Of course the design, its hello kitty, my favorite! i would love to have and add it on my collection! Amazing giveaway by the way! thanks! I like its sophisticated design. So even if I go to a formal event, it won't be an eyesore. The best thing with Instax, though, is that it preserves the captured moments. Hoping to win!